Nokia 3 feature a 5-inch (1280 x 720 pixels) HD display powered by 1.3GHz Quad-core MediaTek MT6737 Processor. It has a 2GBGB RAM and 16GB internal memory, expandable memory up to 128GB with microSD Card. It runs on Android 7.0 (Nougat) OS. On camera, it has an 8MP autofocus rear camera with LED Flash and 8MP autofocus front-facing camera Packed with a 2630mAh battery. 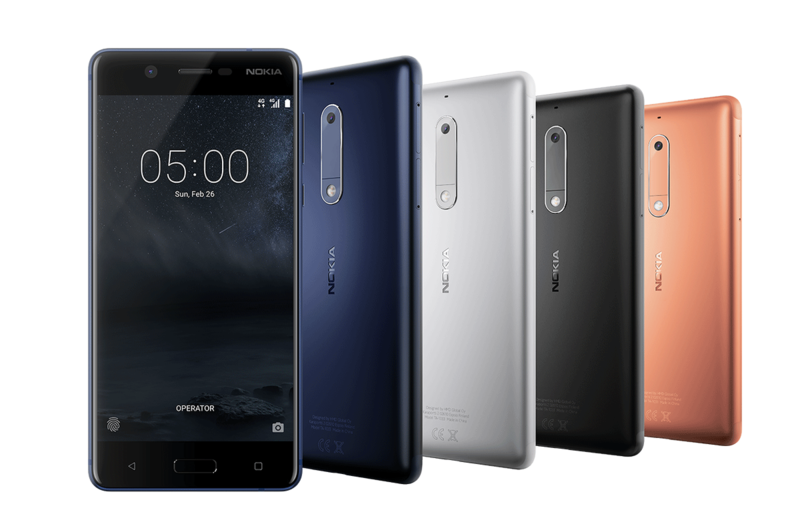 Nokia 6 feature a 5.5-inch screen with full HD resolution with 2.5D Gorilla Glass. Powered by a Qualcomm Snapdragon 430 processor with 3GB RAM and 32GB storage. The device runs on Android Nougat Out of the box.On camera, it has a 16MP rear camera with LED Flash and 8MP front facing Camera. Packed with a 3000mAh Battery. Nokia 3 is available starting this week, the partners in Romania Priced at 699 RON. Nokia 5 is available at the end of June, the partners in Romania and will sell at a price of 949 RON.Nokia 6 will be available in late June partners in Romania and will sell at a price of 1119 RON.